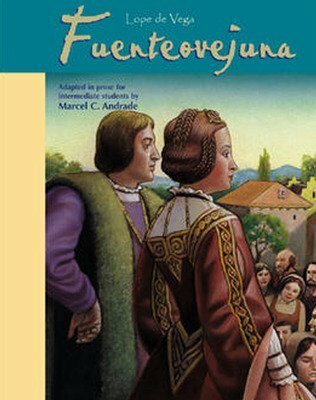 A reader for intermediate Spanish students, Fuenteovejuna (Lope de Vega) is a Golden Age theatrical masterpiece that has been adapted into modern Spanish and simplified to the intermediate level. A reader for intermediate Spanish students, Fuenteovejuna (Lope de Vega) is a Golden Age theatrical masterpiece that has been adapted into modern Spanish and simplified to the intermediate level. Margin notes and general vocabulary provide extra reading help. This reader is softcover, 6" × 9", and 112 pages in length.